BOGOTA, Colombia — Iran coach Carlos Queiroz is in talks about taking over Colombia's national team after the Asian Cup. 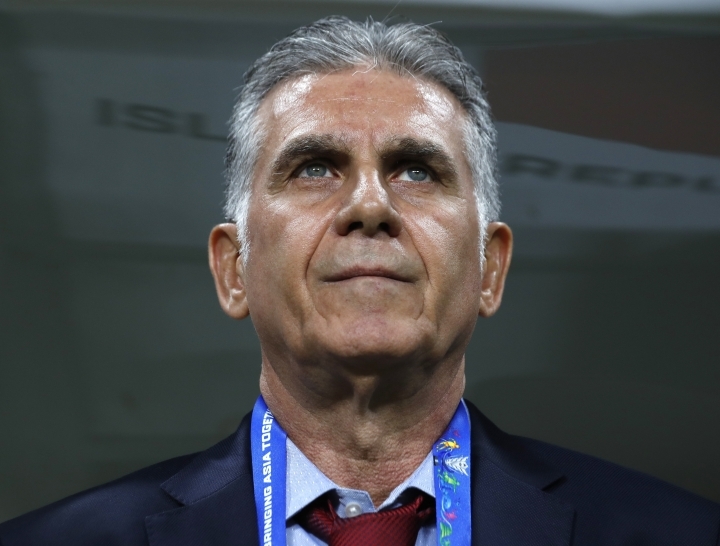 Alvaro Gonzalez, who is vice president of the Colombian football federation, told a local radio station on Monday that an agreement with Queiroz is close and could be wrapped up by the end of the week. The Portuguese coach has been in charge of Iran since 2011 and is currently at the Asian Cup in the United Arab Emirates, where his team faces Iraq on Wednesday. He managed Real Madrid in 2003-04 after Vicente del Bosque left. Gonzalez said "we have met him twice (in Lisbon and Madrid) and he gave me a very good impression." "I was thinking of a Colombian, but those we had (Juan Carlos Osorio and Reinaldo Rueda) were not available. I think this will be decided by Friday," Gonzalez. Newspaper El Tiempo reported Tuesday that Colombian soccer executives will travel to the UAE on Wednesday to sign Queiroz.